This tutorial is for Salesforce Lightning. If you are using Salesforce Classic, navigate to this article. Record Validation Live is a feature that can be integrated to any record page layout in your Salesforce organization. Record Validation Live does a real-time search for unvalidated Address, Email, and Telephone number when opening up a record. 1.1 Add the Record Validation Live component from "Salesforce Lightning App Builder'.Navigate to the Object you want to add Record Validation Live for. 1.2 Click on a record and open it. 1.4 At the left under 'Custom- Managed' find the Record Validation Live custom component and place it by just clicking on it or dragging it to the Salesforce Builder. 1.5 You can place it on the central default position by clicking on it or, drag it to the right side of the layout to view it in a more compact way. 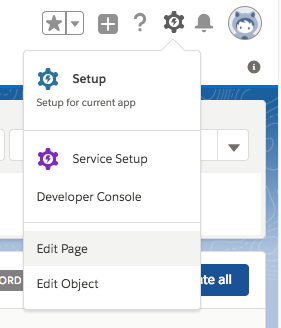 Watch this short video of how to add RV Live in the central position to your page layout in Salesforce Lightning. When the component is placed on the right side of the layout the "Show less columns" checkbox must be checked. Watch this short video of how to add RV Live to the right side of your page layout in Salesforce Lightning. 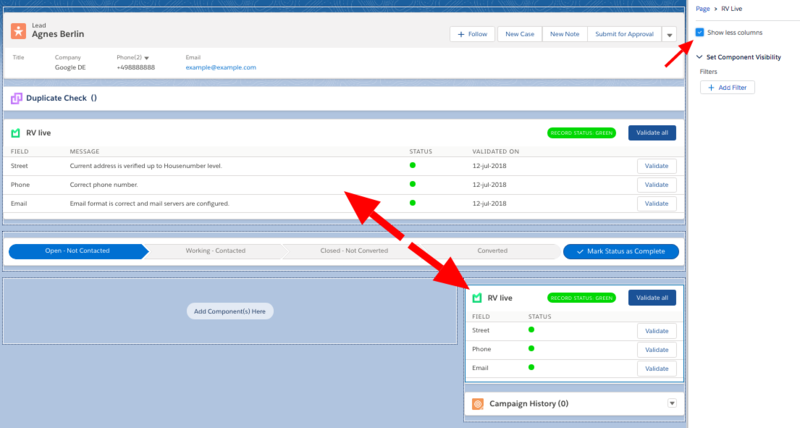 1.6 After deploying and positioning the Record Validation Live component on the page layout, click the 'Save' button to activate it and make it visible.